Indian Breads There are 17 products to choose from. Butter Stuffed Indian Bread - Indian Restaurant Costa Teguise Restaurant - Indian TakeawayTakeaway Food Costa Teguise, Lanzarote.Food Delivery Service - Lanzarote. Indian Bread - Thin Tawa(flat pan) roti. 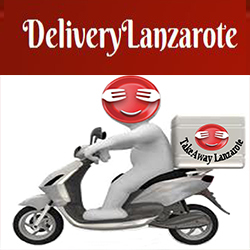 Indian Restaurant Costa Teguise Restaurant - Indian TakeawayTakeaway Food Costa Teguise, Lanzarote.Food Delivery Service - Lanzarote. Indian Breads All Baked in charcoal TandoorIndian Restaurant Costa Teguise Restaurant - Indian TakeawayTakeaway Food Costa Teguise, Lanzarote.Food Delivery Service - Lanzarote. Almonds, cashews, coconut, raisins, pistachos - Naan. Indian Breads All Baked in charcoal TandoorIndian Restaurant Costa Teguise Restaurant - Indian TakeawayTakeaway Food Costa Teguise, Lanzarote.Food Delivery Service - Lanzarote.